Probably one of the most popular affiliate marketers out there is Pat Flynn. I have always wanted to interview him from the time that I heard about him and I was finally able to take some time out of his busy schedule for a sit down interview. He is not only a great affiliate marketer, teacher and podcaster, but he is also an awesome family man and all around great guy! 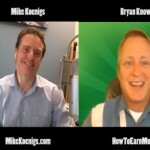 He has only been in affiliate marketing and making money online for about 5 years now, but in that short amount of time he has become one of the most popular affiliate marketers out there teaching others by example on how to earn money online, create passive income and lifestyle design using his Podcast and website titled Smart Passive Income. You won’t want to miss his blog posts and podcasts, so make sure to check him out. 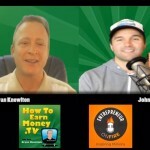 Starting off the interview I really wanted to know what brought Pat Flynn to San Diego from Connecticut at an early age as well as find out when he got started with making money online and creating passive streams of income. It turned out that Pat moved from Connecticut with his family when he was still in the 3rd grade because his father had a job relocation. He really loves it here and you can see how much family means to Pat. I doubt he will ever leave sunny San Diego. I hope not! In the interview Pat Flynn shares the background on what got him started to make an online living. He talks about how he originally started learning about making money online through The Academy – Internet Business Mastery. It didn’t happen over night and he put in a lot of hard work to get to where he is today. We go over the different strategies that he used to currently bring in over $40,000 every month, sometimes even more! Incredible! Pat didn’t get to where he is today just by focusing on one area to get his information out to the public. He has not only diversified his income streams, but he also delivers his information across multiple platforms. He really is EVERYWHERE on the internet. You can find his Blogs, Videos, Podcasts, Niche Websites, iPhone Applications and see him talking at conventions and even find him in the credits on a mainstream movie! He handled the social media marketing for a movie called Broken Arrow and got a credit and walked the red carpet! Nice. With only 6 years under his belt he has built up a steady flow of income along with earning an incredible reputation by being very straight forward and honest with everything he does. When you are competing online, where competition is very fierce, he is not only praised by the competition, but copied. He has helped to bring people in the niche of teaching others how to make money online where he leads by example. Creating relationships with the competition and helping to deliver the message that anyone can make money online and avoid all the scammy propositions at the same time. Currently Pat tends to focus on different niches, dominating the search engines and making money with ad revenue. At the same time he teaches others how they can do the same thing. I know there has been talk of Pat coming out with some products possibly this year, and they will sure to be very high in value and very low in cost. He is not in to gouging his fans. I really love Pats business model of providing the highest quality and value in information with nothing expected in return. The way that he makes his money is by talking about services and products that have helped him. He does explain that he receives a commission from people buying these products and services through him and his fan base tends to jump on it. By being honest and ethical and explaining this is what he uses to help make him money online, his fans tend to purchase the same product through his affiliate links. It really is a win-win situation. The majority of his viewers purchase the products and services so they can follow in his footsteps and have a better chance of making money online, while others actively seek out his affiliate links just so they can give back. Karma. It is all good. He teaches people and changes lives and he is rewarded for it. 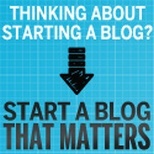 I know I wouldn’t have started teaching others without coming across his blog. I just wouldn’t have thought I could make money at it. I am a HARD seller, but I was tired of the grind. I also wanted to show people how making money online is really not that hard and if it interests you, you shouldn’t have to go out and get scammed by a bunch of old school scammers looking to take advantage of people and claiming they have the magic bullet. I have been an affiliate marketer for a very long time and I am now learning the soft sell / no sell technique he is using. By being very honest and open and providing incredible value, it will all come back to you in the end. I enjoy helping people and have already had great success helping others make money online. Amazing. Pat has really excelled at showing people how he creates passive streams of income online. 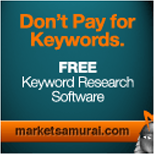 When it comes down to it, if you are looking to make money online, you need website hosting, special tools and script that will make it easier to get jobs done, etc.. You need to find good keywords and domain research so we both talk about Market Samurai and we teach others how to use it. Website hosting is also fundamental, so you want to find a good wordpress host that is fast and does not go down all the time, so we both suggest you use Blue Host because they are reliable, easy to use and doesn’t cost an arm and a leg. Both our blogs are hosted on Blue Host because they are good at what they do and we both make money through our affiliate commission when our viewers decide to sign up through them. Another win-win! I thought I would find a generic definition that I found online: income that is received on a regular basis, with little effort required to maintain it. When I first read ‘little effort’, I laughed, but the more I thought about it, it is correct. The idea is to provide little effort to maintain it, but originally you do have to Work HARD, set up your automation or processes and later enjoy the passive income that it brings in. When you are working to create passive income streams, everything should be set up in advance so that you do not have to spend a bunch of additional work to constantly keep the money flowing in. Sure you will be doing some maintenance from time to time, optimizing your sales process, but for the most part it should be passive. For example, you can make income online by selling through ebay, but it is far from passive. You can also set up a course on ‘how to become an appraiser’ with training materials and information that will remain fresh for its lifetime. Pat has multiple diversified income streams. You can find his income reports at Smart Passive Income – Income Reports. You will be amazed by the reports and should be very inpired as well!! I know I was a little green after reading his first income report… But then it got me inspired! 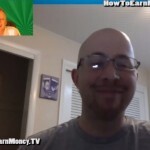 In the interview we talked about his various income streams that include Adsense, iPhone Apps, niche websites and numerous affiliate income streams. He has been sharing his monthly income reports from the time that he got started and has helped in his success by sharing his successes and failures with his readers. In general terms, a niche is a specific area of demand for a product or service. In relation to marketing, a niche market is a small area of a much larger market. With a niche website you focus on a small segment of a much larger market which tends to be more specialized and have less competition than the larger market in whole. Instead of selling all types of tools, you might just specialize in drills. If you really wanted a micro niche and there is enough of a demand to support the business, then you might consider selling cordless drills or possibly even a smaller market just for high power 36 volt cordless drills. The more niche targeted the website will provide detailed information on specific products or services and won’t get diluted with tons of different products and services. You will have a higher possibility of becoming popular for providing the best information on 36 Volt cordless drills and the search engines will love you for it. You will probably even get people linking to your website for reference information and your social authority will increase. If you pick the right niche, the sky is the limit. That is the tough part obviously, but Pat kept track of everything in detail during a past Niche Site Duel with a friend. Others have joined in on the challenge and I hear there will be a Nice Site Dual 2013! Check it out for more information. 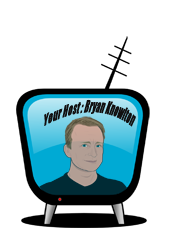 I am sure you will enjoy the interview as much as I have, and if you run in to Pat along your ways, make sure to say that Bryan over at How To Earn Money TV sent ya! Check out his Smart Passive Income blog and subscribe to his podcast through iTunes for more information and to see what he has been up to lately.